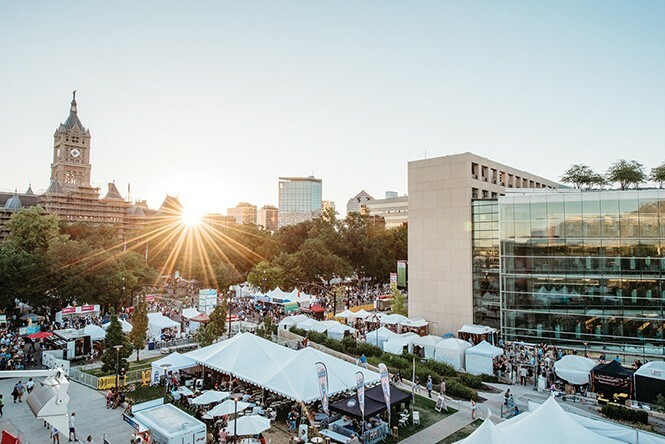 As a bit of a bacon-wrapped swan song to the Utah Arts Festival, the organization will be hosting the Big Deal Brunch on Sunday, June 24 from 11 a.m. to 1 p.m. Tickets to the event are $35 each, which includes admission to the festival for the day. Those looking to plan a group outing can reserve a table for eight for a paltry $400, which also includes festival admission and two drink vouchers per guest. Ticketholders will find their stacked brunch buffet occupying the Hospitality Patio where they can spend a few hours enjoying tasty food while enjoying the sights and sounds of the Arts Fest. Brunch cocktails will be available for purchase, and the proceeds go directly to the Utah Arts Festival. Tickets can be purchased in advance at uaf.org/bigdeal. Fans of homemade chocolates, neighborhood socials and free movies will want to keep an eye on Hatch Family Chocolates (376 E. Eighth Ave., 801-532-4912, hatchfamilychocolates.com) this summer. Starting on Friday, June 22, the locally owned and operated chocolate shop will be hosting weekend block parties complete with lawn games, a free movie (Black Panther for the opener) and complimentary popcorn. The festivities will take place every Friday evening through Aug. 17. Of course, no visit to the block party would be complete without stocking up on some of the Hatch family's trademark sweets—skip the Milk Duds and Junior Mints and go for chocolate covered orange slices while enjoying some outdoor movie magic. If you just can't get enough of the Avenues this weekend—and you happen to be a lady—Cucina Wine Bar (1026 E. Second Ave., 801-322-3055, cucinaslc.com) will be hosting a food and wine pairing for ladies only on Saturday, June 23. The event costs $105 per person, or $60 without the $45 wine pairing. According to Cucina's Facebook page, this is one of their most popular events each year, so it's a good idea to call ahead and reserve a spot for yourself and whoever the Samantha, Charlotte and Miranda of your social circle happen to be. Assuming you're the Carrie of the group, of course.